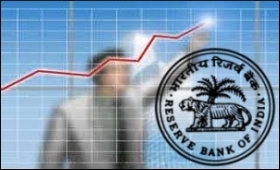 An apex industry body has said that this is the opportune time for the Reserve Bank of India to cut key interest rates to boost manufacturing and investment which are in the lackluster trajectory. "We appreciate the efforts of the Government to tackle the inflationary scenario which has come down significantly from 6.1 percent in July 2016 to the level of 1.5 percent in June 2017. WPI inflation has also decelerated from 3.3 percent in January 2017 to 0.9 percent in June 2017," said Gopal Jiwarajka, President, PHD Chamber of Commerce and Industry on Saturday. "Despite the significant deceleration in inflation rate, the repo rate is still high and growth of industry and manufacturing sector is in the lackluster trajectory," he said. So, at this juncture rate cut becomes inevitable to support the industrial growth and to enhance the competitiveness of the manufacturing sector, he said. "Now, almost all the factors are favourable such as good monsoon behaviour, inflation is under control and GST is implemented," he said. "Going ahead, we expect at least 25 basis points cut in repo rate from 6.25 percent to 6 percent in the forthcoming third bi-monthly monetary policy due on August 2 and further, 25 basis points cut in repo rate by December 2017," he added. RBI reduced the repo rate by 25 basis points in October 2016, however, industry was expecting a rate cut at so many junctures. Firstly, at the time of demonetisation, secondly at the time of fiscal consolidation measures announced during Union Budget 2017-18 and thirdly at the time of good monsoon in July 2017, Jiwarajka said. Wholesale price index (WPI) inflation has also decelerated from 3.3 percent in January 2017 to 0.9 percent in June 2017. On the other hand, growth in industry output, as measured in terms of Index of Industrial Production (IIP), for the month of May 2017 grew only at 1.7 percent of which the growth of manufacturing sector stands at 1.2 percent in the same period. The Nikkei India Manufacturing Purchasing Managers' Index (PMI) fell to a four-month low of 50.9 in June 2017 from 51.6 in May 2017, signalling a subdued improvement in the manufacturing sector. India's inflation rate is lower as compared to various advanced and emerging economies such as the US, Germany, South Africa, Brazil and Russia. However, interest rates in India are much higher than the US, Germany, China and Singapore, he added. It has been observed that the US has lower inflation rate (1.6 percent), but at the policy front, interest rates in the country is also low at 1.25 percent. Similarly in the case of China and Singapore, the inflation and interest rates are in the lower trajectory. "Considering the good monsoon behaviour supported by reforms in the supply side, we believe the inflation should not be more than 4 percent in the current financial year 2017-18," Jiwarajka added.